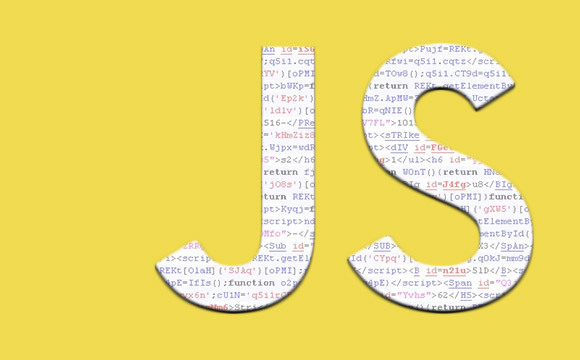 This post is a part 18 of ECMAScript 6 Complete Tutorial post series. ES2015 introduces a new object referred as Reflect which exposes methods for object reflection. These new methods don’t throw exception on failure rather they return error, which makes it easy to write code involving object reflection. The Reflect object is not a constructor that is it we cannot use it with new operator. It’s a plain object that exposes the methods related to object reflection as its own properties. Reflect is the only object introduced by ES2015 Reflect API. Only couple of major browsers support the Reflect object at the time of writing this article. Check out the compatibility here. We can use harmony-reflect polyfill created by Tom Van Cutsem to use Reflect in non-compatible browsers. If we are using a transpiler to convert ES2015 to ES5 then we don’t need the polyfill. Reflect.get is used to retrieve value of an object property. The first parameter is the reference to the object and second parameter is the property name. If we are retrieving value of an accessor property then we can provide a third parameter which is the value of this keyword inside the get function. The Reflect.get() method works the same way as the dot and brackets operators for retrieving value of an object property. The only reason why you would want to use Reflect.get() is when you want to retrieve value of an accessor property by providing a custom value for the this keyword inside the get function. manually. The Reflect.set() method works the same way as the dot and brackets operators for setting value of an object property. The only reason why you would want to use Reflect.set() is when you want to set value of an accessor property by providing a custom value for the this keyword inside the set function. manually. Reflect.defineProperty is used to define an object property. Its same as the Object.defineProperty method. Reflect.defineProperty takes the same three arguments as the Object.defineProperty method. Reflect.deleteProperty is used to delete an object property. It’s same as the delete operator. The first argument is the object reference and second argument is the property name. Reflect.has is used to find if an object property exists or not. It’s same as the in operator. The first argument is the object reference and second argument is the property name. Reflect.has() is simply an alternate to in operator and they both can be used alternatively. Reflect.getOwnPropertyDescriptor is used to retrieve descriptor of an object property. It’s same as the Object.getOwnPropertyDescriptor method. The first parameter is the object reference and the second parameter is the property name. method returns an array whose values represent the keys of the properties of an provided object. It ignores the inherited properties. The only argument we need to pass is the object reference. Reflect.preventExtensions method is used to mark an object as non-extensible i.e., we cannot add new properties to it. It’s same as the Object.preventExtensions method. Reflect.isExtensible is used to check if an object is extensible or not. It same as the Object.isExtensible method. It takes only one argument that is the object reference. Reflect.setPrototypeOf is used to set [[prototype]] of an object. The first argument is the object reference and second argument can be either null or an object. Reflect.getPrototypeOf is used to retrieve the [[prototype]] of an object. The only argument it takes is the object reference. Reflect.enumerate method takes an object as argument and returns an iterator object that contains the enumerable properties of the object. It also returns the enumerable inherited properties of an object. method is used to invoke a function with a given this value. The first argument is the reference to the function object, second argument is the value of this keyword and finally the third argument is an array whose values will be passed as arguments while invoking the function. The Reflect.construct method is used to invoke a function as a constructor. The first argument is the function reference, second argument is an array whose values will be passed as the argument to the constructor and finally the third argument is another constructor whose prototype will be used as the prototype of the currently invoked constructor. Why use the Reflect API? Similarly none of the methods of the Reflect API throw exception. In this tutorial, we learned what the object reflection is, and how to use the ES2015 Reflect API for the object reflection. We saw various methods of the Reflect object with examples. Overall, this article introduced the ES2015 Reflect API to inspect and manipulate the properties of objects.